CHURCHILL, Man. 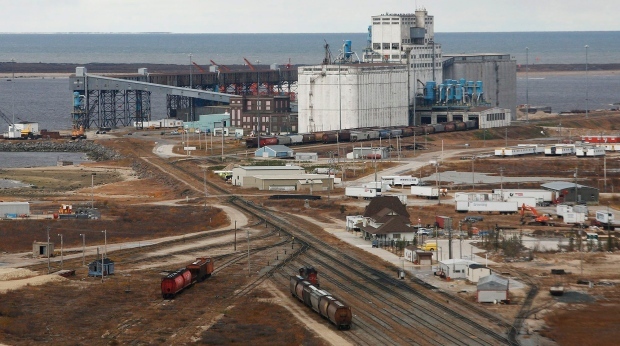 -- With winter looming and still no sign of a functioning rail line, some people in Churchill, Man., are talking about a blockade to try to force someone -- either the federal government or rail line owner Omnitrax -- into action. 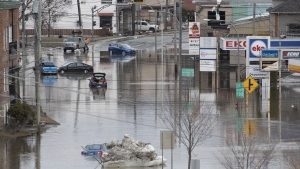 The subarctic town of 900 people lost its only land connection to the outside world in the spring when severe flooding damaged the rail line. Since then, people and goods have had to be flown in at much higher cost. Via Rail is planning to retrieve two locomotives and five passenger cars stuck in the town by loading them onto a ship, and residents are not pleased. "If we do block (the train), we're not blocking it to hinder Via," Dave Daley, head of the Churchill Chamber of Commerce, said Thursday. "Via has been a great friend to Churchill, they've invested a lot of money into promoting Churchill but ... what we're mad at is no communication (from the federal government)." Omnitrax, which has been trying to sell the line to a First Nations consortium, has said it cannot afford the estimated $43 million in repairs. In July, Prime Minister Justin Trudeau said Omnitrax is legally obligated to maintain the rail line, but there has been little said since about any progress in the stalemate. With winter temperatures that could throw a wrench into repair work just a few weeks away, people in Churchill are preparing for the likelihood of going through the winter with higher prices for food, fuel and other items. Tourism has also taken a hit. Fewer people have booked trips to see the beluga whales and polar bears the town is famous for. "Time is not on our side. We indicated right from the get-go ... that it was critical that we get started repairing the rail line," said Mayor Mike Spence. Via Rail said in a statement this week it intends to put its locomotives and passenger cars on a barge in the coming weeks before the area's short ice-free shipping season ends. Rust is already forming on the train and shipping it south will avoid more costly repairs that would be needed if the train continues to sit in the town, the Crown corporation said. Daley said a blockade is one way to bring attention to what residents are facing. "How are they going to be able to afford to get through the winter -- another six months of this -- when it's $21 or $22 for a bag of potatoes." Trudeau, Pallister agree Omnitrax must pay for rail repairs in Churchill, Man.